Moreover, the website has played a significant role of the practical information transferring and on time to their target customer for very business. And also you can create a website with only $1 budget with Google Blogger by buy a domain name for your blog. Since technology is growing from day to day, and the internet has played a significant role in the human online activity globally every day. And also the user who using smart device and computer are increasing quickly, and the internet is very accessible. Along with this, while the web users are growing so the business person could take advantage of these factors for their business by advertising the product and service to a large amount of internet user. And also you can create a website to share your passion with the world by using your knowledge and skill to write the useful articles and post them to your site or blog. Moreover, you may join the online advertising network program such Google AdSense. By placing ads code on your site, you will earn the profit for every valid visitor’s view or click the ads. To gets start, you will need a domain name for your site, and you can host your site with Google Blogger. Google blogger is a powerful and easy to use blogging engine by Google. And also by creating a website or blog with Blogger, you can save the cost of the web hosting fee because of Google Blogger is a free service. And also you don’t need to concern about the security of your website from the hacker because your site is protected by Google platform. but you may also use the SubDomain of BlogSpot in format xxxxxx.blogspot.com. And also you need a credit card to buy a domain name. Now, let’s start to create a website with Blogger. If you don’t have a credit card yet, you can create it one for free, please read PayGo provide free virtual MasterCard and financial service in Cambodia. Many domain provider companies offer the big promotion for their first customer up to 80% off. You and buy a .com domain name with GoDaddy or 1and1 or 1$ only for the first year. 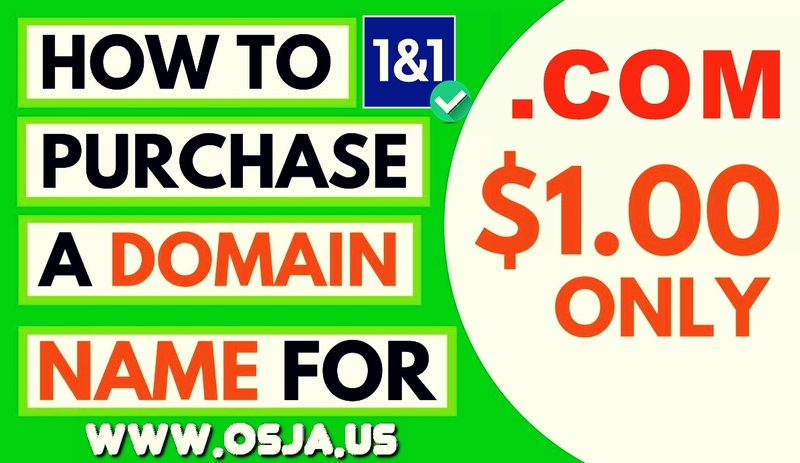 And also the renewal price of your domain name will come normal price for $15 a year. And also I have written a detailed article about how to add a domain name to Google Blogger in my previous post. So you can learn more about how to setup a domain name with Google Blogger by reading: How to setup your own domain names on Blogspot blog. There are many free and premium Blogger theme that you can choose for your new website. And also you can navigate to Blogger theme section at the menu bar of the blog. Ans also you can find out much more for free at Blogger theme at The Best Free Responsive Blogger Templates. Even more please check out a topic that you may like at 100+ Best Free Responsive Blogger Templates 2017. Now you have a great website. You just need the content to attract your visitor to visit your site and you may post the articles related to your work, study or knowledge and experience such as Knowledgebase, Tips, Tour, business, technology and what so every as you can. You need about 20 to 30 good writing articles to join with Google AdSense. Ans also you can share your post to social media network to reach more visitor such as Facebook, Linkedin, Google+, Twitter, Reddit and so on. Now we have completed the tutorial about how to create a website or blog with Blogger by spending only $1. I will post about how to get successfully applying Google AdSense for Cambodian people for the next post. Please subscribe my YouTube channel, or like my Facebook page, especially Please follow my blog to get the articles bout how to make money online. I appreciate you for taking the time to read my blog today. I hope that this post could be a part to help you to create a website or blog with Blogger for low cost but fully blogging feature powerful, fast, security and easy to use for free. Please like and share this article with your friends they enjoy it.